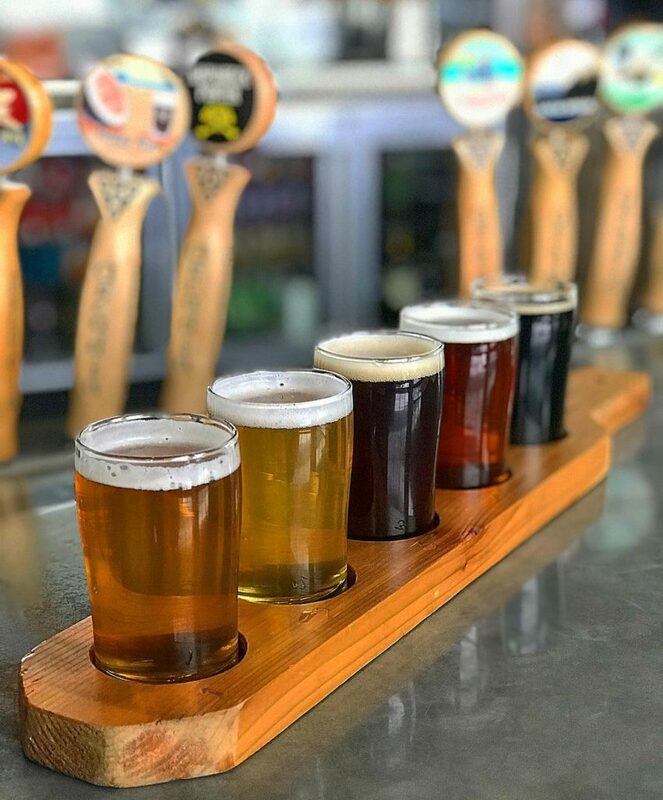 National Beer Day is April 7, 2019, and there is no better place to celebrate than Kalamazoo, Michigan. Here are 6 reasons why you should plan your visit to one of the nation’s beer capitals in southwest Michigan! 1) Your college major can be beer in Kalamazoo. Not only can you drink beer in Kalamazoo, you can study beer at Western Michigan University. Sustainable Brewing is a unique field of study that combines science with the art of craft brewing. This means the local breweries need to be on their best game for these highly informed students. Learn more about the program, and keep reading to see how seriously Kalamazoo takes their brewski! 2) You can visit almost 20 breweries in Kalamazoo. You couldn’t experience all of Kalamazoo’s craft beer in one day, and we do not recommend that you try. Visit our breweries page to find the place for you. In all seriousness, if you are planning on visiting Kalamazoo for National Beer Day, make a weekend of it and drink responsibly. Book a place to stay so you can safely enjoy the area. 3) Want to drink at the #1 brewery in the country? You can do that in Kalamazoo. Bell’s Brewery’s Eccentric Cafe is located in Downtown Kalamazoo, and they have more to offer than award-winning beers such as Hopslam and Two Hearted. You can also chow down on their mouthwatering menu, or attend a Back Room Concert. Bell’s Brewery is a household name for craft beer lovers. Experience it for yourself in Kalamazoo. 4) Take four different kinds of beer tours in Kalamazoo. As if one type of beer tour wasn’t enough! West Michigan Beer Tours offers tours on foot, bike, or bus. True craft beer enthusiasts will love learning about the breweries, brewers, and brews on these insightful tours. If you are feeling antisocial – check out the self-guided Give a Craft Beer Trail. Visit all the participating breweries and collect free swag from our office! 5) Get a taste of craft beer history in Kalamazoo. 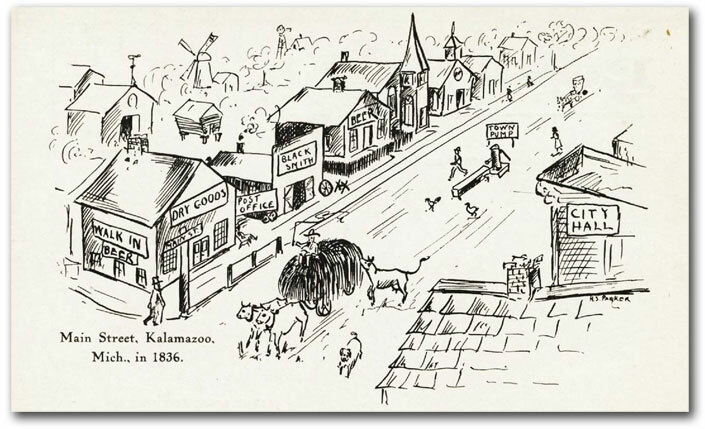 Read more about the extensive brewing history of Kalamazoo, and experience it yourself by planning a trip! 6) Last but not least, there’s tons of other cool stuff to do in Kalamazoo! As you can see from our Instagram, there are tons of things to do in the area, places to dine, and events to experience. Check out vintage aircrafts, visit the birthplace of Gibson Guitars, enjoy the distilleries, and tons more in Kalamazoo! So why wouldn’t you want to celebrate National Beer Day in Kalamazoo? We didn’t even mention that liveability.com ranked us the #4 Top Beer City in the nation, Business Insider named us the #3 Beer Town in America, and we earned 2nd place in the Beer City USA contest! Experience and discover Kalamazoo craft beer now by following us on Facebook, Twitter, and Instagram!